Entry into the HRD Introduction to Rail Signalling Systems course is open to people with a role in rail work who require a basic understanding of how signalling systems function. Access to rail signalling infrastructure is essential so that you can apply knowledge and skills learned during the course. A typical technical training module is assessed by a research assignment, written theory test and workplace practical assessments. RPL does not apply to this course and is not offered. Training typically occurs over 5 day blocks, with additional time allotted for workplace practical assessment. Introduction to Rail Signalling Systems is non-accredited training. A Certificate of Completion is issued upon successfully meeting course requirements. Because learners must already be employed in a rail signalling project or graduate role, it’s expected that your employer will meet all course costs. Introduction to Rail Signalling is a short introduction to the rail signal systems program for people requiring only a basic understanding of the workings of rail signalling systems. in a supporting role such as project assistant, CAD operator or administration staff. The program gives valuable insights and knowledge to infrastructure or rail construction project and support staff whose role brings them into contact with rail signalling. G1.1 Rail Signal System Principles (5–7 days) covers the fundamental principles of rail signalling systems, with an overview of equipment types and a snapshot of local regulations, codes, plans and symbols. G1.2 Rail Signal Control System Principles (5 days) explains the systems in place to control train movement and protect trains travelling on a section of track. The module focuses on signalling safeworking systems, mechanical interlocking, relay interlocking and level crossing protection. G1.3 Rail Signal Wiring Systems (5 days) provides participants with exposure to rail signal wiring and cabling principles, including: signal cable types; cable-laying practices; jointing; termination to rail, signal equipment and termination racks; the installation and termination of internal wiring to relay bases; performing cable tests. Introduction to Rail Signalling theory training is scheduled to allow time for learners to return to the workplace and apply what they’ve learned to their own work context. 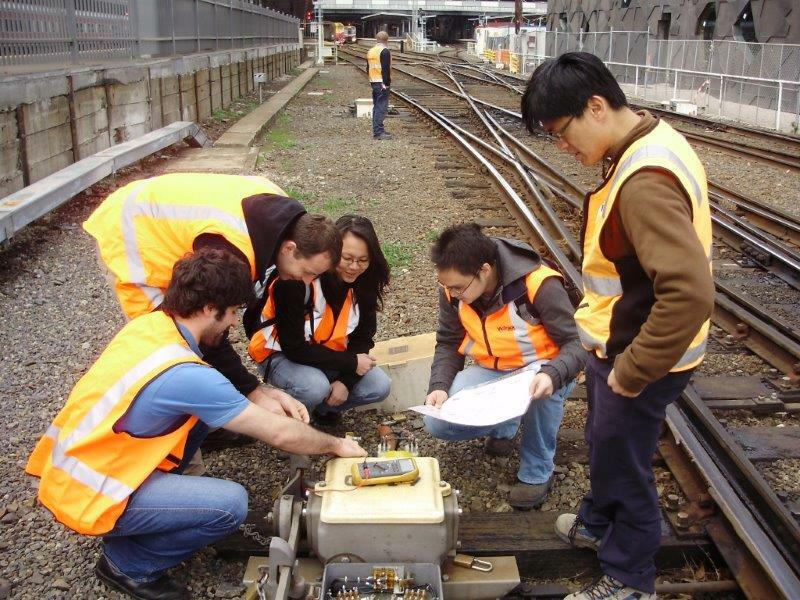 A longer, more detailed Rail Signal Systems Graduate Program is available for graduate engineers and other project staff needing more in-depth knowledge of rail signal systems and processes.